You may already be thinking about Thanksgiving… is it going to be the same old thing with way too many sweet potatoes and too much food in an atmosphere of gluttony with your family? Why not make it a special holiday this year by taking advantage of El Monte RV’s special Thanksgiving offer? Check out all the details of our RV rental special and how you can save money on the rental of an El Monte RV at all our nationwide locations. To help make your Thanksgiving special, this is an RV rental special for rentals with pickup dates between November 1 and November 30. Rent for 4 nights or more and get double the miles free! That’s 100 free miles per night! Go out of town in an RV and take your ready-made accommodations with you so you don’t need to crowd into your relative’s house. Or make it a longer trip and enjoy some picturesque fall scenery and changing leaves on your way to or from your destination. Or, consider, as host of the Thanksgiving feast, having an extra private space for your guests. Either way, an RV provides the perfect accommodation for you, your friends and family. Here are some ideas to help you celebrate being together with your family and giving thanks for all you have to be thankful for. Check out these award winning menus if you happen to be the host (and the cook) for your family’s gathering. Choose from 28 easy-to-make complete Thanksgiving menus here. Or try a vegan Thanksgiving feast; see suggested vegan menus and shopping list here. If you want to get out on the open road, consider traveling during Thanksgiving to these destinations. Mid-Atlantic States: What about a visit to the Gettysburg Battlefield? This is a picturesque place to visit and experience a huge history lesson before the weather gets too cold to stroll on the battlefield. If it’s cold, you can drive through a self-guided tour of most of the key sites of this historic location. 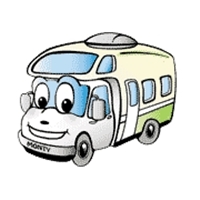 You can rent an RV from our Baltimore rental location which is only about one and a half hours from Gettysburg. Northwest States: Try a visit along the trail first traveled by Lewis and Clark as they led American explorers across the country. Leaving from the mouth of the Missouri River, the Corps of Discovery made it all the way to the Pacific Ocean and back. Their journey was almost 8,000 miles long and took them two years to make. Wherever you may be, you can find parts of the Lewis and Clark Trail in Omaha, Nebraska, where the Trail Headquarters is located, all the way to the mouth of the Columbia River in Oregon. See more details about their amazing journey and trail maps and locations of visitor centers and museums here. To rent from our Ferndale, Washington location, click here. Enjoy your Thanksgiving wherever you spend it and be grateful for all you have. Take advantage of our Thanksgiving special at all our nationwide locations. Happy Thanksgiving from El Monte RV! This entry was posted in Food RV Vacations, Historical RV Vacation, Maryland RV Camping Vacation, Washington RV Camping Vacation. Bookmark the permalink.